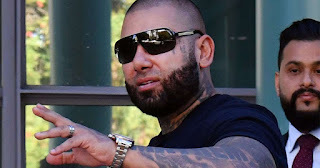 Canberra has continued its reputation as a bikie holiday hotspot after a Nomads Outlaw Motorcycle Club gathering. 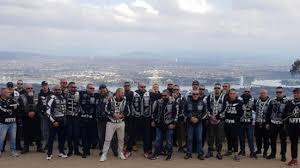 Convicted killer and Nomads life member Mouhammed 'Moudi' Tajjour posted an image to his Instagram account of dozens of bikies posing arm-in-arm on Mount Ainslie. The Nomads first established a chapter in the territory after a group of Rebels patched over in 2016. Canberra has hosted a number of OMG national runs in recent years as a result of anti-consorting laws in NSW, Victoria, and Queensland. Many of the members had congregated at the Capital Men's Club when a brawl started. Paea Talakai, 27, pleaded guilty to affray for his part in the melee. Another five gang members are expected to appear before the court on similar charges next month.